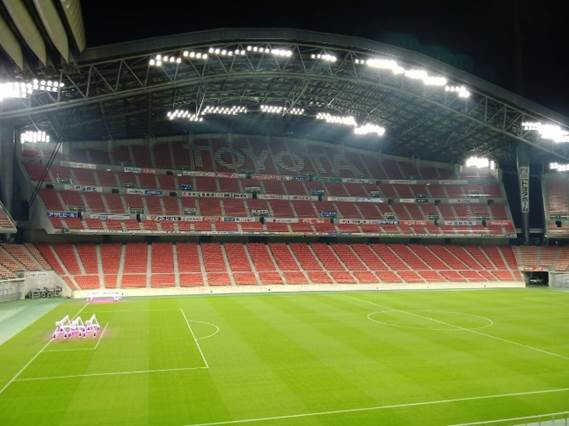 Signify has installed its connected lighting system Interact Sports at Toyota Stadium in Aichi, making it the first outdoor stadium in Japan to install connected LED pitch lighting in combination with high performance Philips ArenaVision LEDs. Unique in the project was the use of robotic measurement while installing the connected lighting system; part of Signify’s innovative commissioning method. It helps to reduce installation time and significantly improves accuracy compared to traditional measurement methods. Aiming of floodlights, horizontal illuminance, colour temperature and rendering are just a few of the components put to the test. The total service package installed in Japan’s first LED outdoor stadium includes software-based lighting design, 3D visualisation and video aiming. Already in operation in numerous stadiums around the world, Signify’s innovative LED lighting system brings an immersive bowl lighting experience by seamlessly integrating colour changing floodlights alongside entertainment lighting moving colour spots. 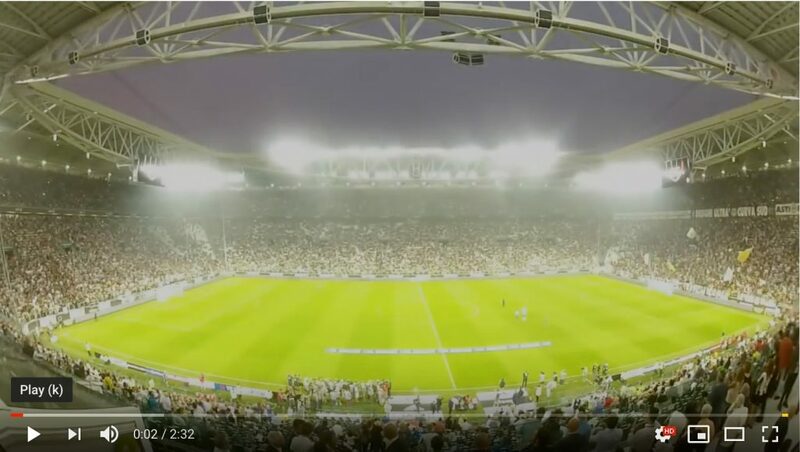 The new lighting meets the stringent broadcast standards for flicker-free Ultra-HD 4K television and super slow-motion action replays, people at home can clearly see every detail and emotion on the pitch. 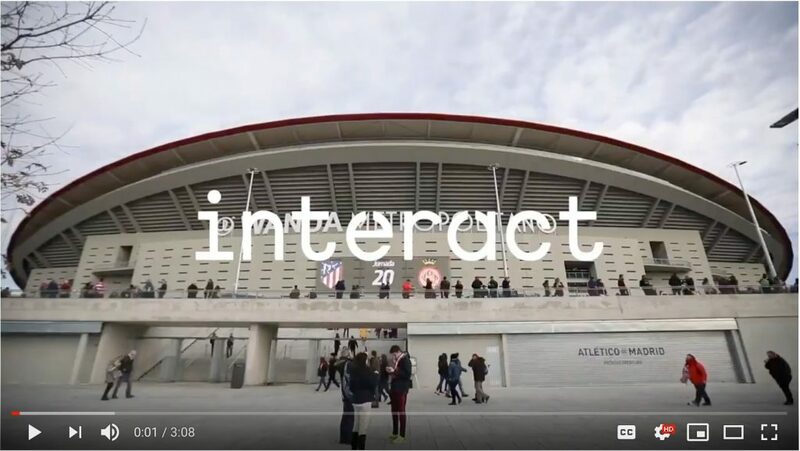 Stadiums that already use Interact Sports include Atlético Madrid’s Wanda Metropolitano and Juventus’ Allianz Stadium. Toyota Stadium upgraded its pitch floodlights with 554 energy-efficient LED lighting fixtures across its 45,000-seat stadium. It uses Interact Sports Lighting management software to control and manage Philips ArenaVision LED Field of Play (pitch) lighting. It combines seven different light distribution characteristics which make it possible to design lighting best suited for each player’s action. Aichi Sports Commission’s Toyota Stadium is a 45,000-seat retractable roof stadium in Toyota, Aichi Prefecture, Japan. It was built in 2001 and is often used as the home ground for the J1 League club Nagoya Grampus. It is also used by Toyota Verblitz, a rugby union team in the Top League. The stadium’s roof is unique in that it folds much like an accordion, however it has never been closed since 2015 due to the extra costs for maintenance. Toyota Stadium was one of the venues for the FIFA Club World Cup (formerly the Toyota Cup). The stadium is also one of the venues for 2019 Rugby World Cup, which will be the first Rugby World Cup to be held in Asia.